A new service from Jones that will change the way you order poles… forever. Whether you are looking for a pole that blends beautifully with your scheme or searching endlessly for that elusive colour you can stop right now… because we have the perfect pole for you ‘In your colour. Any colour’. 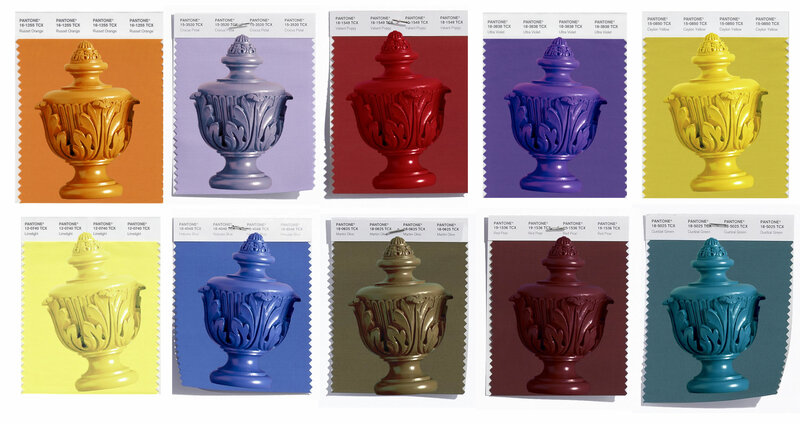 Simply choose any paint colour, from any paint supplier and our master craftsmen will create your unique vision. A great tool for any Interior designer with limitless colours at your fingertips and a unique service to offer your customers. Will their predictions be correct? Could you find yourself with an influx of orders for russet orange? Whether you like them, loath them or tweak them, we have you covered with the perfect pole for your scheme. For inspiration on the above check out the Elle Décor colour trend report. 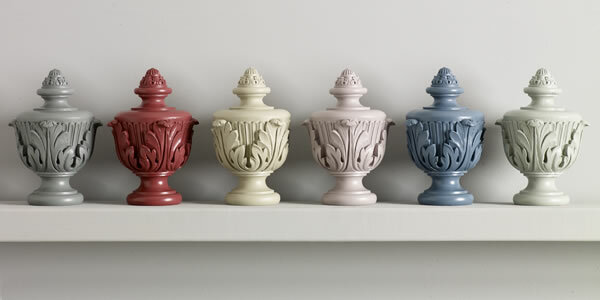 We have selected four of the most popular finial designs from our 50mm handcrafted pole collections. We feel these fab designs will transition easily into contemporary & traditional settings, in any colour. If you need little guidance or are looking for something special we are more than happy to discuss different options from our other handcrafted collections. You could also funk up your bespoke pole further by contrasting you chosen colour with metal brackets or with a stock colours from our handcrafted pole range such as champagne silver or antique gold…this creates a really unique look. Ordering is simple with a single charge (per pole set) for colouring, regardlessof the length. Simply email your chosen paint brand and colour ref, finial design and pole length, to sales@jones-interiors.com then leave it with us. Our friendly sales team are always happy to assist you with an order so if you need little guidance or a looking for something special just give them a call on 0115 9738708.